Bought 1 pair at the sale and liked them so much ordered more at the regular price. Comfortable, well made, and excellent fit. No need to spend big bucks for quality gloves! Well made gloves, wish I would have found when more sizes were in stock. They seemed to be sized one size small, the medium only fit a friend with a small hand. I can usually wear a medium, but these were too tight. They were well made and felt comfortable, just to tight to get on and off, which I thought would adversely affect the wear. I've used them for commuting and for longish rides (40 miles). Comfortable, fit well, good padding. To me, a glove is a commodity and this one is a good value. Every Sugoi item I have purchased (jersey, tights) has been really good. 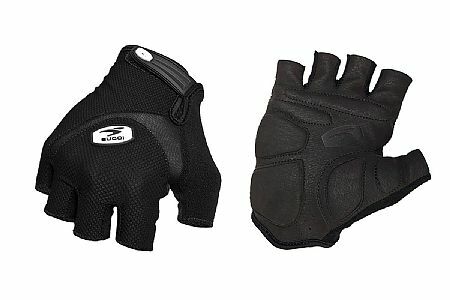 I like sugoi products and these gloves are good. The size for me was small although I was between sizes. I prefer a fit glove and not one that's loose. Used these gloves for the first time last weekend in Colorado. They fit great and look good as well. Real comfortable pair of gloves. Sugoi has always made a great fitting glove though.